I hope you like these Edward de Bono quotes from my collection of quotes about life. interested in what they are doing. is looked at in a certain way. may be so obvious that the problem no longer exists. I must say, I don't feel very qualified to be a pop star. I feel very awkward at times in the role. since it is a more significant process of mind than reason. but the humor process is involved in changing them. 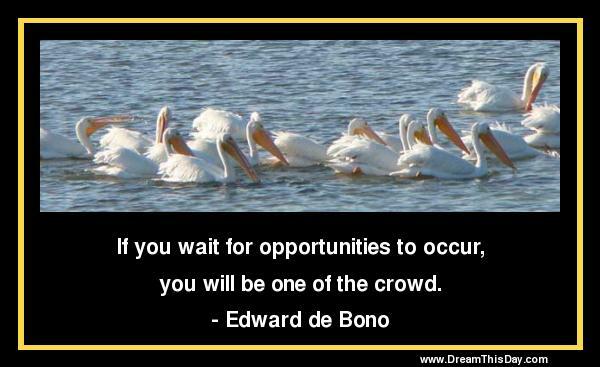 Thank you for visiting: Edward de Bono Quotes and Sayings - Quotes by Edward de Bono.